Signiatec Ltd provide a comprehensive range of bespoke products and services for walking, cycling and driving trails nationwide. 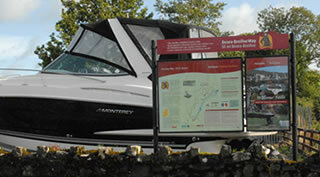 Our core services include site survey, sign manufacture, engineering and installation. 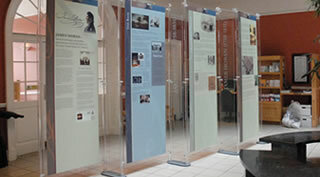 Signiatec display units carry both a structural and material guarantee. All steel parts of the units are galvanised prior to powder coating to an agreed colour. Signiatec supply Display Cases, Backlit Display Cases, Lightboxes, Click Frames and Acrylic pockets in a variety of sizes and finishes. Models may be wall mounted, cable & rod supported or free standing. 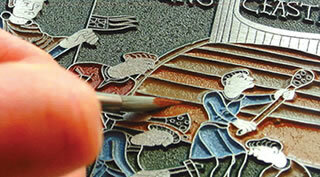 We have a range of options in embossed and raised etched plaques; cast bronze; cast aluminium; etched and in-filled brass and stainless steel or digitally printed acrylic plaques. The Easy Way to Find Your Way! 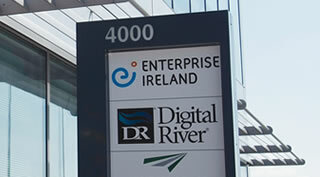 Signiatec offer a wide variety of internal and external directional/wayfinding sign systems. 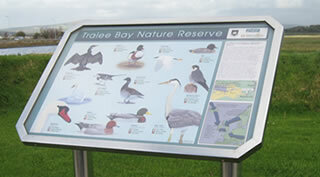 Signs can be manufactured from a range of materials and are available in several colours and styles. Braille messages can also be incorporated onto the systems when required. 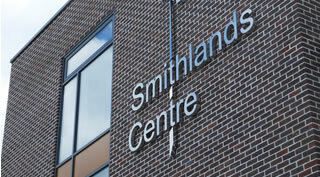 we offer a wide range of built-up and flat cut letters for internal and external use. The 3d visual status that these letters can present makes these sign types extremely popular. . With our built-up and flat cut letter service you can get a quality product at a very keen price. 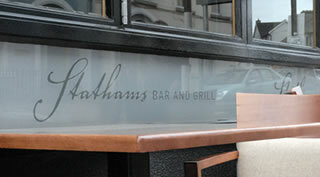 Materials used include aluminium, with a powder coated finish, stainless steel, foam PVC and acrylic. 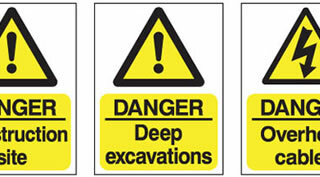 It is vital in most areas of your business that adequate health and safety signs are in place. Signiatec are leading suppliers of health and safety signs and can provide you with a cost effective solution to ensure that you are compliant with the Health and Safety Authority. 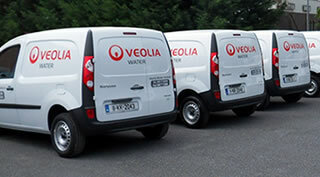 Applied cut vinyl text or digitally printed images will enhance any company’s position in the market place. We are always happy to work with customers to find the best solution to all their advertising requirements. 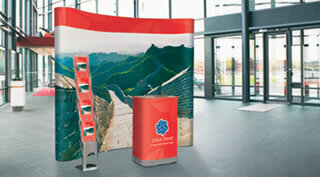 To maximise your business potential Signiatec can provide event signage for trade shows and exhibitions. These include roll up displays, pop up displays, banners, large format digital prints, magnetic signage and vehicle livery. Signiatec offer totems for external and internal use. Our external totems are extremely robust and carry a ten year structural guarantee. The internal system offers options including a fixed profile, as well as a snap profile. Signiatec’s stiles are manufactured from aluminium. 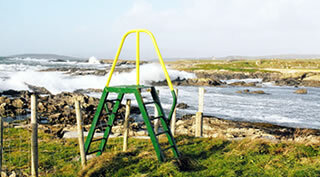 They are guaranteed against corrosion and supplied powder-coated. 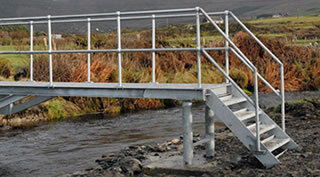 The stiles are complete with 25mm non-slip ladder rungs, non-slip safe deck and aluminium handrail. 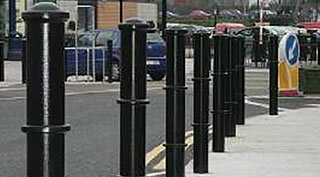 Signiatec’s markerposts are made from recycled plastic, which makes them durable and very hardwearing. Standard size is 100mm square x 1500mm long. 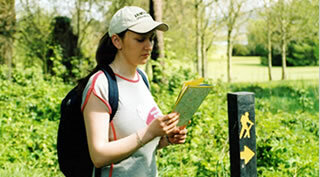 These can be supplied complete with directional arrows, information plates or blank. 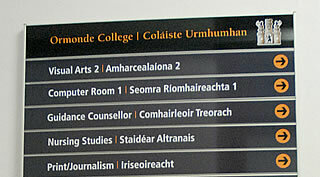 Directional arrows and information plates can be customised to include logos, names etc to a clients requirements. 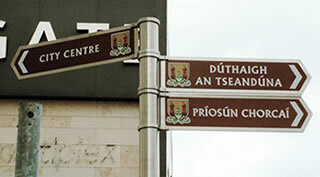 Signiatec will manufacture high level fingerpost signs to suit your individual requirements. 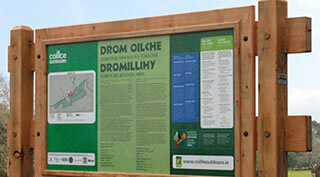 We can supply fingerposts for national roads, secondary roads and trail walks. Signiatec can apply custom graphics, decorative and frosted glass films that simulate etched glass and come in many colours and designs. Graphic film is a less expensive option when you want to achieve an elegant look of frosted glass without the permanence of sandblasting.